Want the quickest, easiest idea to bring the bright fall colors into your home? Buy a pack or two of these bright-colored, autumn oak leaves. 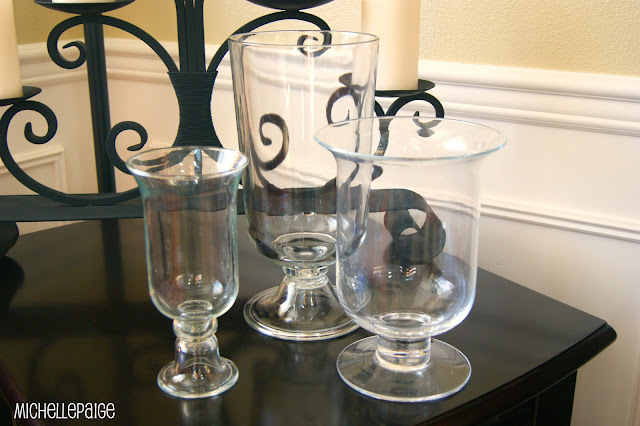 Gather up some glassware...vases, bowls, etc. 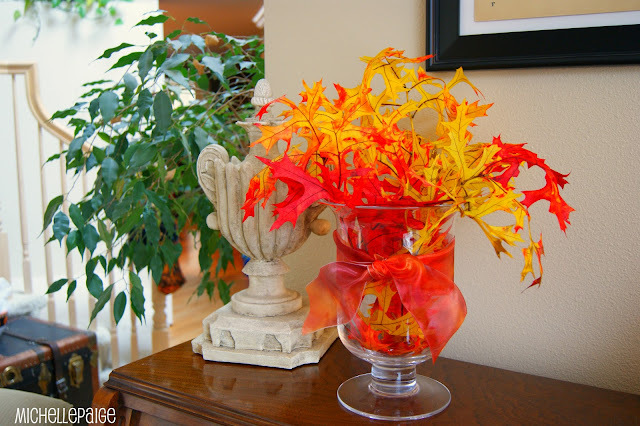 pull apart some of the oak leaf stems and plop them in your container. 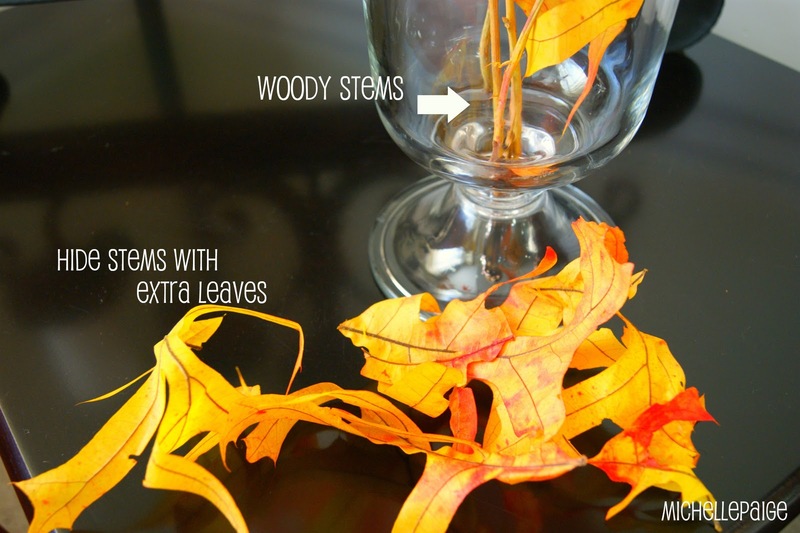 Don't worry about the woody stems because you can cover them up with the loose leaves. 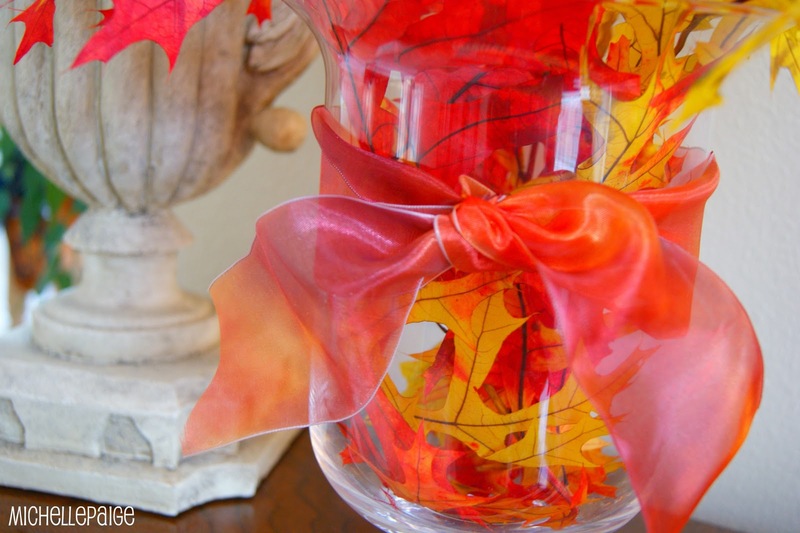 Just stick the leaves down inside the vase to cover the stems. 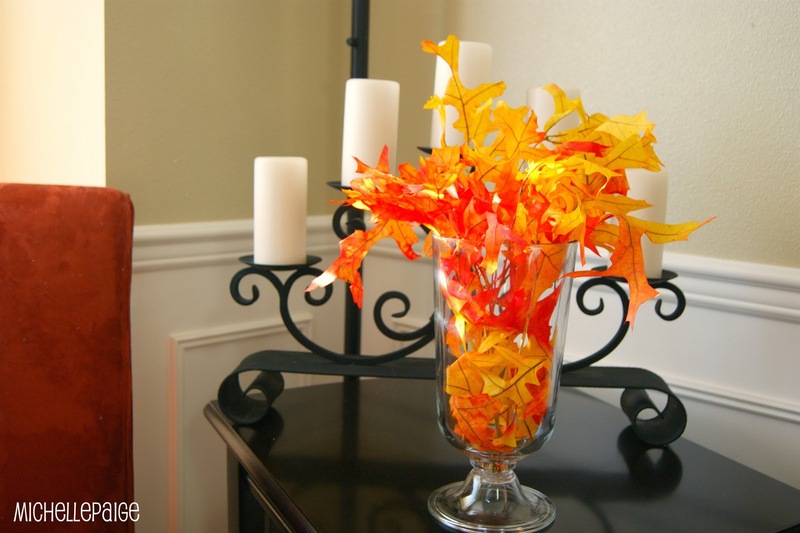 Need more loose leaves? Use your scissors and cut some off. I told you this was super easy! Now, to make this even prettier we add RIBBON! Simple wired ribbon tied in a knot and trimmed does the trick. And there you have it! A blast of fall color! I love these leaves! I made a whole wreath out of them one year. The colors are so vibrant. Pretty, pretty. 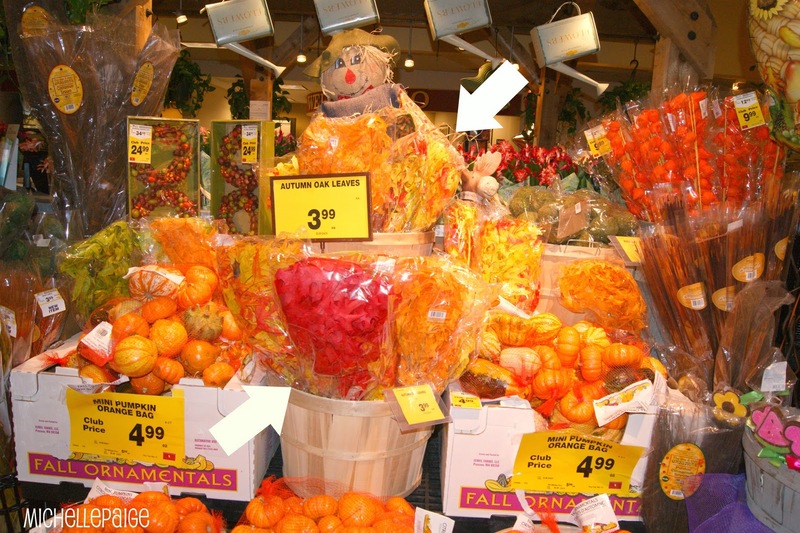 Seriously, I wish I was that talented in decorating, but it isn' my thing. If we lived closer together I'm sure we'd be talent swapping all the time. It's beautiful! 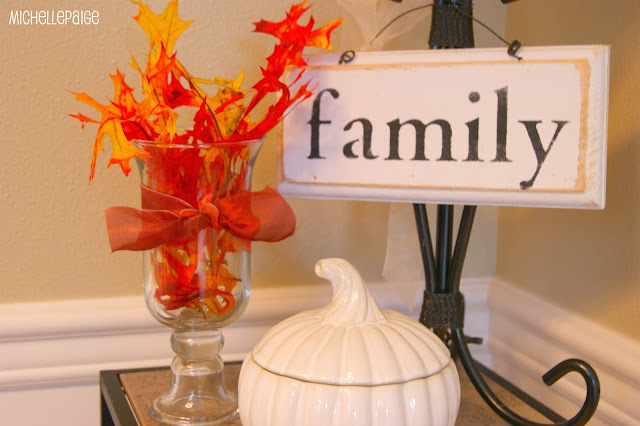 I love simple decorating.